In today’s episode we hear from three women working in cybersecurity intelligence. We’ll learn about their sometimes indirect journeys toward tech, challenges they faced along the way, and we’ll get their advice for navigating what is still a male-dominated field. Emily Wilson is director of analysis at Terbium Labs, where she leads a team focused on exploring and analyzing data from the dark web. Lauren Zabierek is a senior analyst with Recorded Future, providing threat intelligence for its customers. Teresa Shea is currently an executive vice president at In-Q-Tel. Prior to that she spent 35 years at the NSA, rising to the role of director of signals intelligence before retiring from the agency in 2015. Hello everyone and thanks for joining us for episode 19 of the Recorded Future podcast. I’m Dave Bittner from the CyberWire. In today’s episode, we hear from three women working in cybersecurity intelligence. We’ll learn about their indirect journeys toward tech, challenges they faced along the way, and we’ll get their advice for how to navigate what is still a male-dominated field. Emily Wilson is Director of Analysis at Terbium Labs, where she leads a team focused on exploring and analyzing data from the dark web. Lauren Zabierek is a senior analyst with Recorded Future, working with their team providing threat intelligence for their customers. Teresa Shea is currently an executive vice president at In-Q-Tel, and before that, she spent 35 years at the NSA, rising to the role of director of signals intelligence before retiring from the agency in 2015. Stay with us. I never set out to be in intelligence or in information security. That’s Emily Wilson from Terbium Labs. I was a bit of a nerd, but not a tech nerd. I liked history, and I liked politics. I briefly entertained the notion of going into domestic politics and then, thank goodness, got over that. But, I really liked the Cold War, and I really liked foreign policy, and so, I ended up going to the College of William and Mary and majoring in international relations. Not only international relations, but I focused on Eastern Europe and more specifically, on war crimes. So, most of my undergraduate work was in genocide. I had no intention of going into intelligence or information security, I cared about mass atrocities and Russian foreign policy, and I thought I’d go work at the State Department. The path not taken for me is never responding to an email for a discussion about a program manager position at the Holocaust Museum. That’s what I thought I’d be doing. I really did not know what I wanted to be when I grew up. That’s Lauren Zabierek from Recorded Future. I thought that math was kind of interesting, but I wasn’t great at it. But, interestingly enough, in high school I really developed kind of an affinity for biology. When I got to college, again, really not having any idea of what I wanted to do, I enrolled in a number of science classes and did very well in biology, but very poorly in chemistry. So, I knew that a career in the life sciences was not really for me. I was very interested in math. I really liked math, and I was growing up in a little town in Georgia and I wanted to be a math teacher. So, when I graduated from high school, I originally went to Georgia Southern, which was one of the best teaching colleges in the state at the time, and realized pretty quickly that teachers in the state of Georgia, even if they were math teachers, didn’t make very much money. So, I had professor there who asked me about engineering and I started looking. Georgia Tech was 17 miles from my house, so I ended up transferring to Georgia Tech and graduating there in electrical engineering. I made the decision that everyone has to make at the end of undergrad: is it the right time for me to go to grad school right now, and what do I want to be doing? I knew I didn’t want to go to grad school right away, so I took a year and started working at a startup, and that led to another startup, and another one, and I ended up working in startups that were ultimately trying to solve tech problems. Working with customers and clients who for one reason or another had a tech component in the work that they were doing. And, you know, it was my job to help figure out, how do we solve this puzzle? How do we put this together, how do we make this work using the tools that we have available to us right now? And interestingly enough, it ended up that I was doing a lot of international work. Mostly in the Middle East, some in West Africa, a little bit in the Caribbean. And so, I still got that international component, and slowly but surely, the tech pieces began to fall into place. You know, I was entering school, I didn’t have a real way to pay for it and my parents actually suggested that I check out ROTC, the Reserve Officers’ Training Corp, with the military. My dad was in the military, but I had never really thought about it — I ended up loving it. And then, I thought maybe I would be a pilot, but eventually I started thinking, I don’t think I want to do this, it wasn’t really for me. Then 9/11 happened, and that’s when I decided that I wanted to be an intelligence officer. What’s next for me was, I went to work for a power company in Decatur, Illinois because I was chasing a boy, and it worked out great. Somebody I met at Georgia Tech, and we married and we’ve been married for 35 years, so it worked. I was successful. But, I worked there until he ended up graduating with his master’s degree, and then he actually took a job at the National Security Agency. So, we moved to Ellicott City, Maryland. We had our first child, I had a little girl. I was looking for an opportunity to do technical work to kind of keep my hands in it, because after going to school and it being all a lot of hard work to get my degree, I really didn’t want to lose that. I was also looking for a way to balance my work life, if you will, and wanted to work part-time, and NSA offered both of those. I was actually at the top of my class in my ROTC class, and so I really had the pick of what career field I wanted to do. I could have gone into the pilot career field, but I didn’t want it as much as I should have in order to go through all that. So, I said, “No, I want to be an intelligence officer,” and I am. I was very lucky. Being at the top, they said, “Yep, roger that. You have the grades, you have the temperament.” That sort of thing, and I was selected for that career field. A mutual friend of mine, our head of product now, Tyler Carbone, he and I had been working together on some projects before Terbium. He had the opportunity to join the team there. This was back when we were fewer than 10 people … I think I may have been number 10. And, he’d been working there for a few months when he and Danny Rogers, our CEO, approached me and said, “We’re interested in building out an analysis department, and we were wondering if you were interested?” I was new to the industry, this was a few years ago now, and I said okay. It sounded interesting, seemed like a new problem, it sounded like something I could try to figure out. I still remember sitting down with 40 or 50 reports in the first days after they asked me and just going through all of them, piece by piece, trying to get as much information as I could, reading as much as I could, deciding it was time to pick up a new industry. I hadn’t been doing any work in the information security space before. I wanted background, I wanted context, I wanted to know what kinds of problems there were and how people thought about them. I wanted to know the history and how the pieces fit together. I wanted to know the terminology, I wanted to know the key players, I wanted to know what kinds of problems people were solving, and I wanted to learn it quickly. What really kind of quickly happened there, even though we were solving — we were really on the research and development side of the signals intelligence mission. What happened pretty quickly for me, and I think others as well, is you really become steeped in the mission and the reason you’re in intelligence in the first place, which is for the security of the nation. And, that became addictive. I really began to see how critically important success to intelligence for the perseverance of the nation was. You could see the difference you were making on a very regular basis. And so, it became bigger than just working in technology, and everybody had a passion for succeeding and helping each other because you couldn’t succeed at it individually, it really was a team effort. Everybody really had the mission first, so it was a really great environment, I really loved it. Absolutely. You can see I ended up spending 35 years there. So, I went through my intelligence career training in 2003. And so, it was still not a lot of women, and that just kind of started, I think, a long career of being in positions where I’m one of few women. Luckily, for the most part, everyone was great. I made a lot of friends, both the men and the women, and I ended up meeting my husband at that time. We became boyfriend and girlfriend, got married much later, and we are still very much together. I was the second woman. Our controller, Keena Thomas was the only other woman there. I still remember her saying how nice it was for her to have another woman in the office. The men are wonderful, we work with a great group of guys who are incredible coworkers and amazing allies, beyond that. But, there is a different dynamic when you are the only woman in the office, or the only two. It’s the little things, it’s — we have a way we walk to go to lunch that we call “the path of least harassment.” It’s the way you walk, it’s the streets you take when you don’t have anybody else with you — anyone else male with you — you still go that way if you have women with you. And, it’s passing on information like that and having other people in the company not know that there’s a difference. You know, that’s a fairly extreme example, right, just given where our office is, harassment does tend to be a problem. You mean, people yelling at you on the street? Yelling at you on the street, yelling at you from cars, following you down the street, trying to grab you, just all the normal stuff. Everything from things like that, to just having someone to talk to about what it’s like to be a woman in STEM. Also, honestly, someone to talk to about being tired about talking about women in tech. You know, I’m here to do a job, and yes, I’m a woman and there’s a piece of that to talk about, but I want to be seen as someone who is in tech or someone who is in information security, not necessarily as a woman who is in information security. There were several women who had really pioneered the field before me. Now, I always like to say I was standing on the shoulders of giants. So there’s … cryptography has been essential to our nation from its beginnings and women have played a key role in that. We should acknowledge that, I think, up front, that there were several others that went before me. In fact, when I was there, Ann Caracristi, who was our first deputy director — first female deputy director — was there. So, I had a lot of great role models to look up towards. I think that the thing for me, because women tend to feel like they’re not ready to take on greater opportunities even when they’re offered, I think the thing for me was really trying to take risk and be in a space that I might not be comfortable with, and having a lot of support, both at home and at work to take those risks, great bosses throughout my career. I was able to pursue that, pursue the things that I was interested in, but also, the things that I thought we could make a bigger difference in. One of the things, and this is what really caused me to get out of the military, was a lack of mentorship. Kind of looking around and seeing, well, I’m a woman in the military and every day I get asked, “When are you getting married? When are you having kids?” And then, on the flip side of that, I would see my troops. One woman in particular who had literally just given birth, and three months later, they wanted to send her to Korea for a year. I just thought that was untenable. And again, not really having a lot of female mentors. So, I don’t know if I really could articulate that back then, but I think those were certain things that kind of made me think, you know what, maybe I don’t necessarily want to be here for the rest of my career. Not a particular officer or anything like that, but in the military. It was never a bad thing for me, it just — little things kinda started to made me leave. I think when I really got to my next position as an intelligence analyst, a civilian intelligence analyst in one of the big agencies. It’s a smaller place, but seemingly bigger. You start to see more of the politics and how other people are able to sell themselves in certain ways, and perhaps, you don’t really know how to do that, and you don’t know that you’re supposed to know how to do that. And that’s where I think, too, the mentorship in the intelligence community, especially for women, was very lacking. That’s when I really started to notice it, as a civilian. One of the things I think is really nice is, I saw someone on Twitter say that they had to wait in line for the women’s room at DEF CON this year, and that’s fantastic. That’s awesome. That wasn’t the case at Black Hat, but that was true of DEF CON. And so, I think just seeing more women in the industry and more women in positions of leadership, more women who are in engineering. I think it’s, being able to go to a conference and not being the only woman there. It’s women being on panels that aren’t just about diversity. That is beginning to happen more and more, and that’s encouraging because most of us aren’t here to talk about being women. We’re here to do our jobs and that’s all we really want to do. I’m a little exasperated. Us discussing this reminded me of the time I was at a conference and I was trying to go to a panel, and I was stopped, because the conference organizers assumed that I was my boss’s wife. Things like that get under my skin. I was working with mainly men when I was coming up through the ranks. That was a challenge just because I was not one of them, naturally. I would think of things differently, so, trying to get my ideas and my suggestions heard and embraced, you had to be creative about that. And I think the key to that is just persevering and not giving up. When I was a civilian analyst, I had the opportunity — I was going to Georgetown University, I was doing this security studies program. I was very lucky to have taken this class, and it was called Women in Leadership in National Security. And it changed my life. It was taught by a female, full bird colonel and she was just kind of being an adjunct professor at the university. And, it was with probably about 10 other women in Georgetown who were in different positions. Some were in the military, some were in civilian agencies, some were in think tanks, some were just fulltime school students. And, she not only brought in these amazing women in D.C., but also, we tackled these topics where women had expressed difficulties in the workplace. But really, everything from vulnerability, and showing vulnerability, to having difficult conversations, to work-life balance, and that sort of thing, and self-awareness. It was such a life-changing class, especially for the time, the period of life that I was in. And so, I turned around and I tried to replicate that at my agency and actually was able to start up kind of a little program, and then I had to leave to come up to Boston. So, I didn’t really get to see it through fruition, but there were certainly a lot of women in the leadership there who were very supportive of it. That’s something that I would like to replicate going forward. It obviously just takes a lot of work, but I just got so much out of it and I really want to pass on the lessons that I learned. I do get frustrated, and honestly, the best approach for me is to just be honest about being frustrated. And that, typically, is in the form of ranting quietly, or sometimes not so quietly, to the 50% of the office that is women, or some of the other people, too. It’s not just ranting to women, it’s not just commiserating with other women. But then, the thing that I try to do is to just be great at my job and stay focused. That sounds really easy and often, it’s not. I found that by doing that, it gives me perspective on what I can do to make something different. Whether that’s the way that I’m interacting with someone, that’s the way that I’ve been treated at a conference, if that’s the way that an exchange happened via email, thinking about, how can I just be great at this, and staying focused on what I’m here to do. I am in a great position because I work at a company that recognizes these issues and supports the women in the office, and we support each other. We’re here to give each other opportunities and to help each other do better. Not just the women in the office, again, but everyone who’s there. And, it creates a good community because we have not only diversity in that sense, in gender breakdown, but also in backgrounds. And, it creates an environment where people are able to think about things in different ways and handle problems differently. I think the number one thing is perseverance. That’s just an imperative, and maybe that’s true for anybody, you know, not giving up and continuing every day to persevere through those hard times because at the end of the day, producing intelligence is hard work. It always will be, despite the technological advances we’ve got in analytics and big data, it’s still a lot of hard work. And the second thing, I think I’d say is, taking those opportunities, taking them both when they’re offered to you and seeking them out, and not being afraid to put your name on the table. Women tend not to do that as much. And then we like to beat ourselves up a lot. We tend to be warriors and we beat ourselves up for mistakes a lot. You gotta keep moving forward, learn from your mistakes, but dwelling on them is not going to change the past. You have a far greater impact on the people in your environment around you than you might realize. And, it took me a very long time to understand that, to know that I was valued and important and an integral part of whatever I was in. Large agencies don’t do the greatest job at telling you that you’re actually valued, or showing you that. Promotions are far and few inbetween, sometimes it can feel like you are just kind of a cog in the wheel, no matter the issue that you’re working on and how much your analysis really contributes to something very important. So, hearing that from people is really important, but really understanding your impact on the mission and your work environment and the people around you, I think, is really important to understand. The best advice I ever got was, I think, my first year at William and Mary. I remember talking to someone who was, naturally, older and wiser. I said, “I worry I’m focused on the wrong thing, because all of my classmates, all of my friends, everyone’s learning Arabic and everyone is focused on the Middle East and I’m over here talking about Khrushchev. Am I’m making the wrong choice?” And this person said to me, “Stop worrying about chasing the latest war. It’s always going to come back around.” And, that stuck with me, and there were other times that I questioned if I was focusing on the right thing, and I realized, this is what I care about and this is what I want to do, and I should just do it. There is a certain pragmatism, we all need to pay the bills, you need to find a way to make that work, but when you find the thing that you like, the thing that you care about, the thing that you want to do, you’d be surprised how many places you can make that fit in. Now, there’s the piece of this that I care about as an aside, with the kind of Eastern European piece, and I certainly still have a lot of opinions on genocide and international law. But, at the end of the day, the thing that I actually really like is putting pieces together and solving problems and looking at systematic communities that end up getting built, how all of the pieces fit together and how different pieces react to different things, how they’re interwoven and how they talk about themselves, how all of that fits together and how that’s seen internally and externally. That can just as easily be applied to the steps to destroy a village, as it can be to how the drug vendors and fraud vendors relate to each other on dark web markets. I think the best advice, then, I can give is, don’t be afraid that what you’re doing isn’t on trend. Don’t be afraid that you need to follow the flashiest, newest thing. Find the thing that you care about and do it. And, be great at it and fight for it, and look for every opportunity you can to meet people who are doing that, who are interesting. Reach out to the people that you admire. You’d be surprised how many people are willing to talk. Just go for it, and don’t worry if it’s going to be the thing that’s going to pay off. You’ll find a way to use your skillset in a way that you care about. So, focus on what you like. Our thanks to Emily Wilson, Lauren Zabierek and Teresa Shea for joining us and sharing their stories. 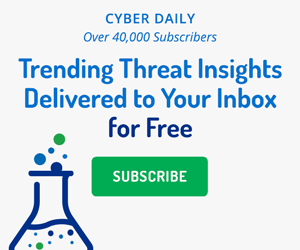 Don’t forget to sign up for the Recorded Future Cyber Daily email where everyday you’ll receive the top results for trending technical indicators that are crossing the web, cyber news, targeted industries, threat actors, exploited vulnerabilities, malware, suspicious IP addresses, and much more. You can find that at recordedfuture.com/intel. In this episode we explore unique insights into how North Korean leadership and ruling elite use the internet and what that tells us about their intentions.